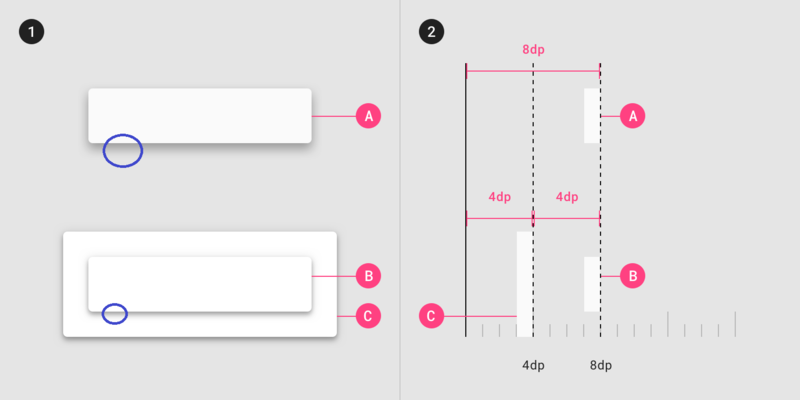 At one point (https://material.io/design/environment/elevation.html#elevation-in-material-design), it says "elevation is the relative distance between two surfaces" and "Surfaces at the same elevation can appear differently when other surfaces are behind them." Then in this example, the shadow of surface B is smaller than of surface A, since it is cast onto surface C, which is "higher" than the background. This makes sense, that's how light/shadow works in the real world. But then a bit later on the same page, a surface is shown, which overlaps another surface and the background. The lower surface is elevated from the background. The upper surface casts a shadow onto the lower surface and the background. From the references above, I would assume that the part of the shadow cast onto the background is larger, since the relative distance is larger. However, the shadow has the same size on both parts. I dont see how this makes sense, it seems inconsistent. Is it actually inconsistent, or am I missing some information? If it is not inconsistent, how would an animation look like, where one surface moves over another, while staying at the same z-level? Would the shadow gradually shrink, but always be the same size at all parts? It is a technical limitation. Calculating shadows that way is more complex, e.g. 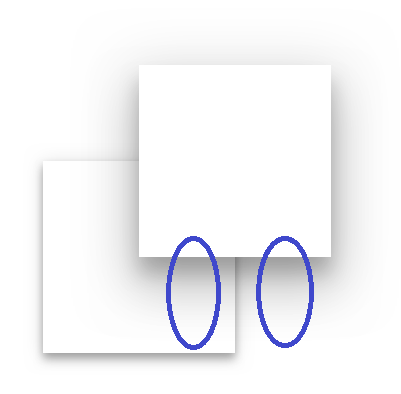 I don't think this can be easily done with CSS box-shadows. This seems unlikely, because Material Design is not just a concept, it is meant to be implemented. It's an error in the guideline. Seems unlikely, the guideline is about 4 years old and quite popular, such an error would have been noticed by now. There exists an explanation, but it is either not or badly documented. It is a known issue, but there exists no solution, and there won't be any time soon, since nobody cares about such minor details. The second image shows exaggerated shadows, to illustrate the concept better. It does not adhere to the design guidelines described in the article. The full picture you cropped this from shows no rounded edges or particularly during colours, as in the other examples in the article. Compare your picture to one further down in the text; you will see that this shows actual (pseudo) content to illustrate real life use. Not the answer you're looking for? Browse other questions tagged shadows google-material-design drop-shadow style-guide or ask your own question. Does Google provide material design resources? 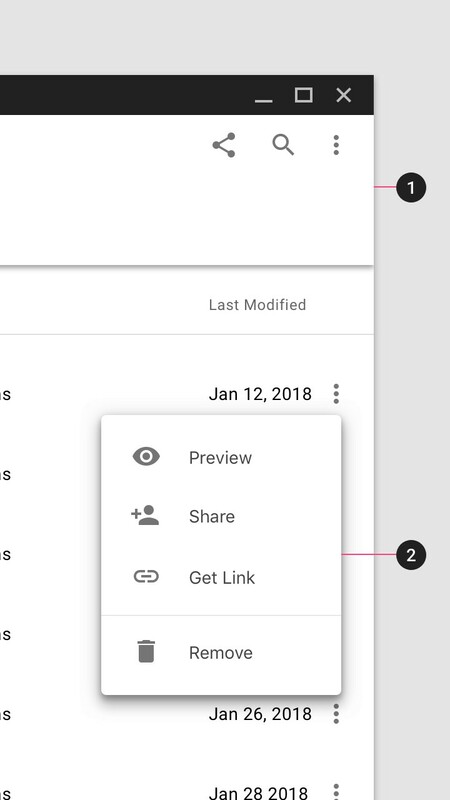 Usage of Google’s Material Design Paper examples? Does the Floating Action Button in Material Design have a light? 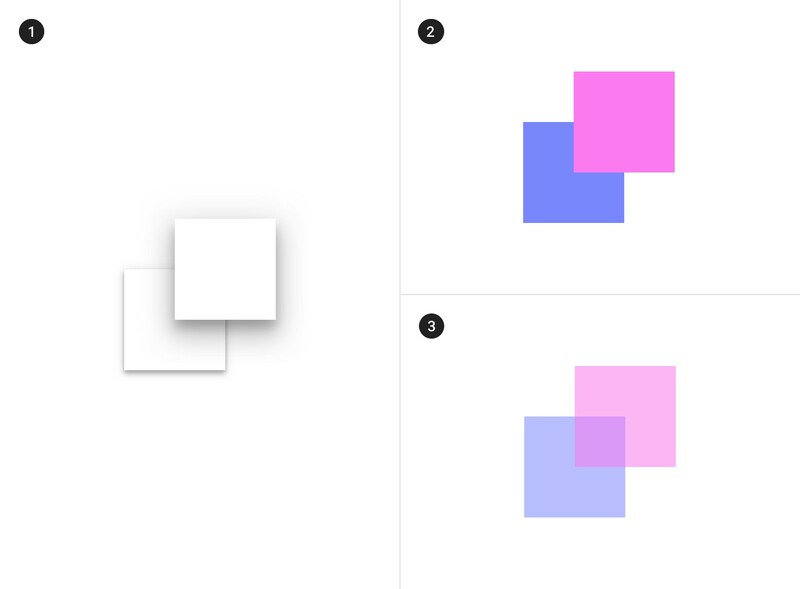 What does Material Design mean by 'action'?